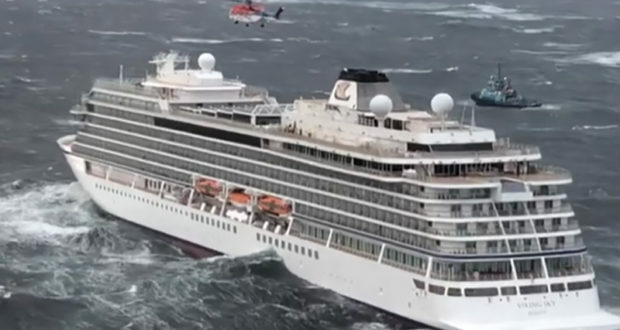 Viking Ocean Cruises has promised its “full support” to an investigation as to what caused an engine failure on Viking Sky that left hundreds of passengers stranded in heavy seas off the coast of Norway. 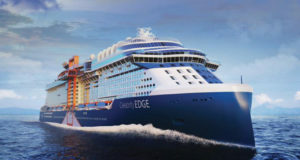 Almost 500 people were airlifted by helicopter off the battered vessel and 20 were injured when it ran into difficulties in bad weather near Molde on Saturday as the ship sailed southwards down the stormy Norwegian coastline. Lifeboats were not launched due to the high seas and instead local authorities evacuated 479 people by air. Waves were six to eight metres high, according to the Norwegian Meteorological Institute. 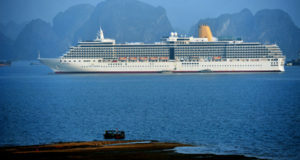 After that, crew outnumbered passengers when the ship arrived in Molde on Sunday, with 436 guests and 458 crew on the ship as it regained power, with assistance from two supply ships and a tug. 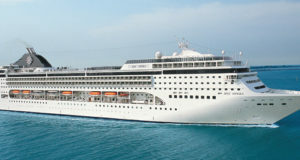 The ship’s next sailing, a Scandinavia and Kiel Canal voyage scheduled to embark on March 27, has been cancelled. But Viking says it does not anticipate further cancellations and in a statement it says it is supporting investigations into the incident. 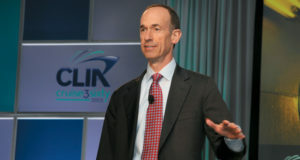 “We have already begun our own internal investigation and our goal is to establish a complete and thorough understanding of what happened,” it says. 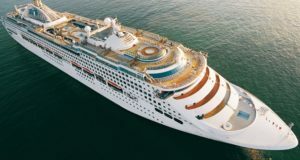 Torstein Hagen, the cruise line’s Norwegian billionaire founder and chairman, added: “The past few days have been stressful and hectic for both guests and crew alike. I would like to personally apologise for what our guests experienced.